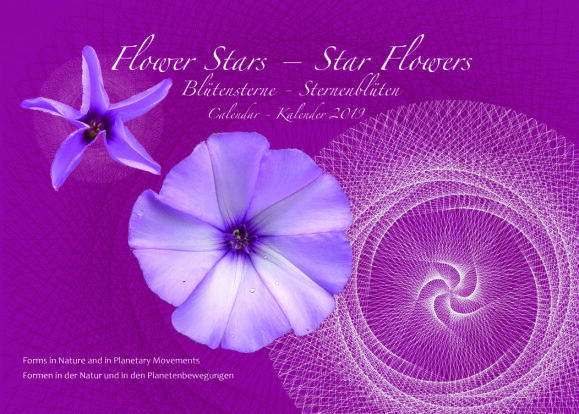 Fascinated by the parallels in the worlds of plants and stars, the biologist and nature photographer Dr. Rita Lüder and the researcher of harmony of the spheres Hartmut Warm together created this calendar for 2019. The images unite the beauty of the planetary movement figures found by Hartmut and Rita’s nature photos of flowers and fungi. In both realms we find archetypical forms of stars and blossoms. This is a unique calendar which enables us to wonder at the harmonic order in the cosmos and the natural world on earth.